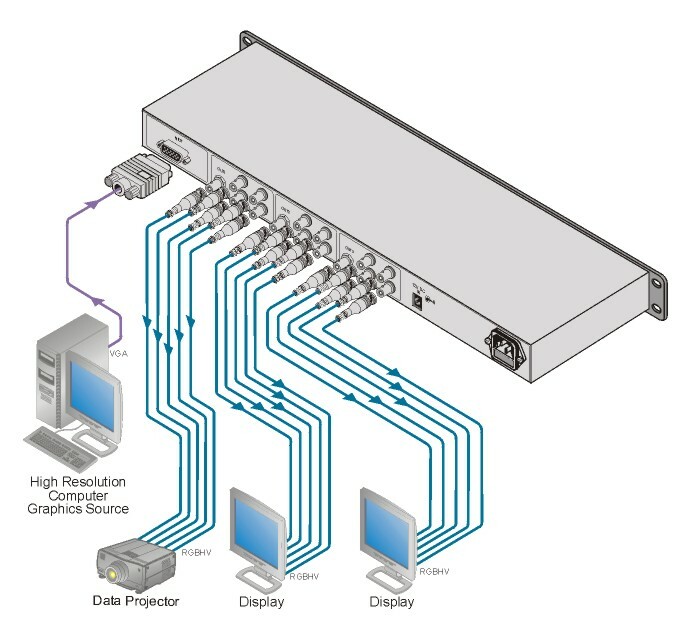 The VP-123V is a high-performance amplifier for computer graphics video signals with resolutions ranging from VGA through UXGA and higher. The unit takes one input, provides correct buffering and isolation, and distributes the signal to three identical outputs. Worldwide Power Supply - 100-240V AC & 12V DC.